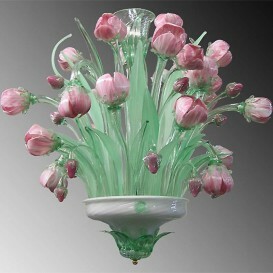 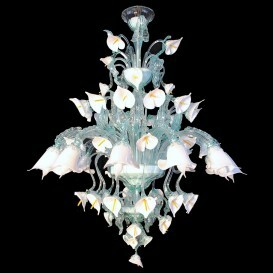 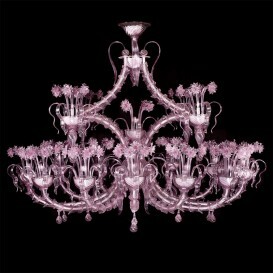 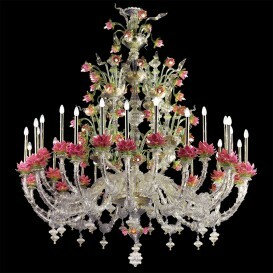 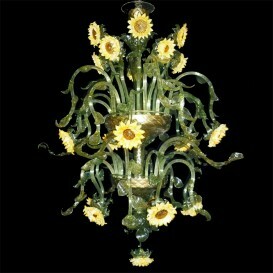 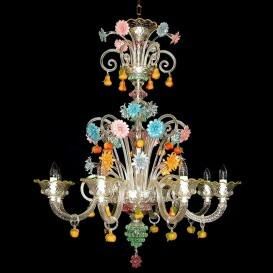 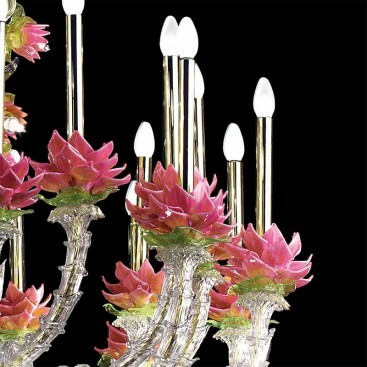 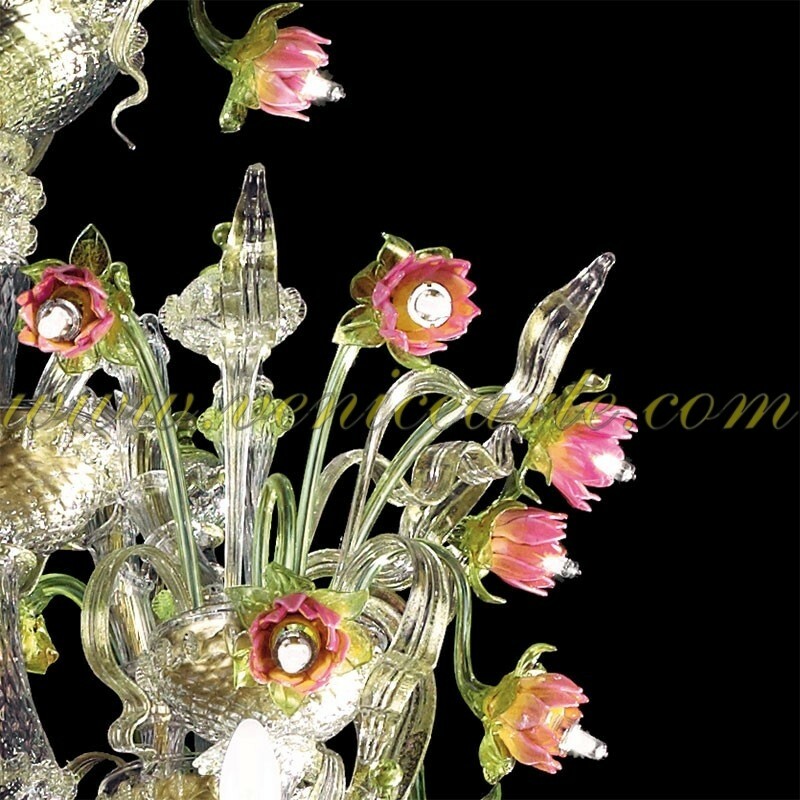 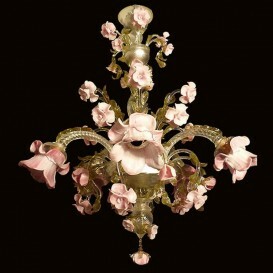 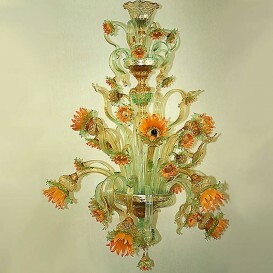 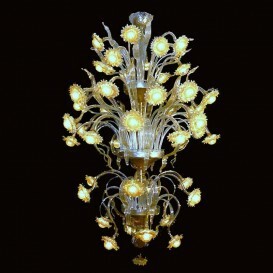 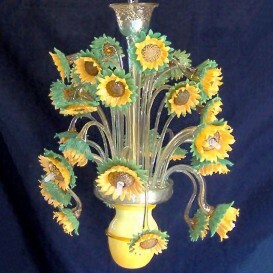 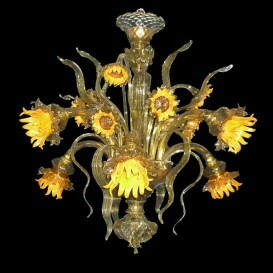 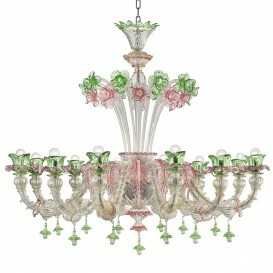 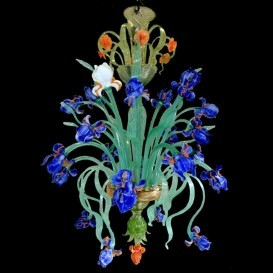 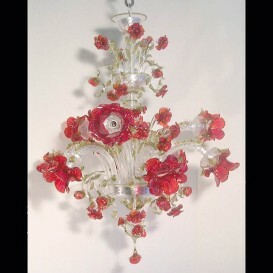 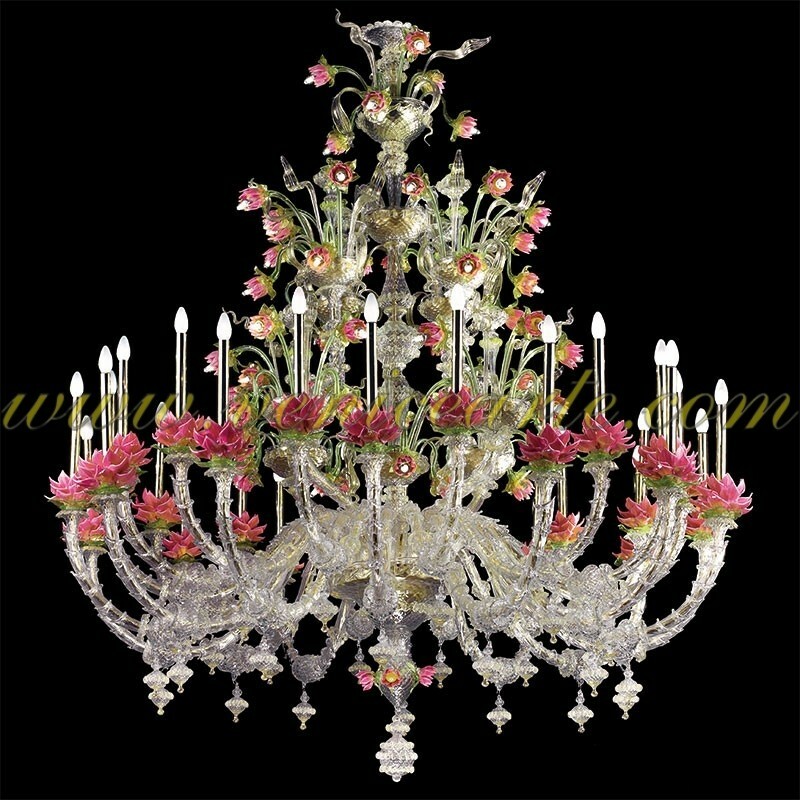 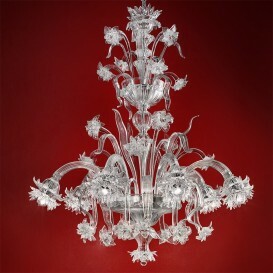 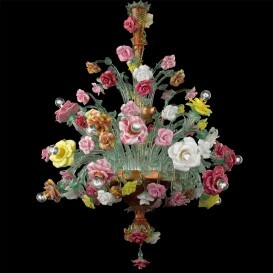 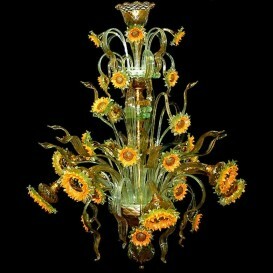 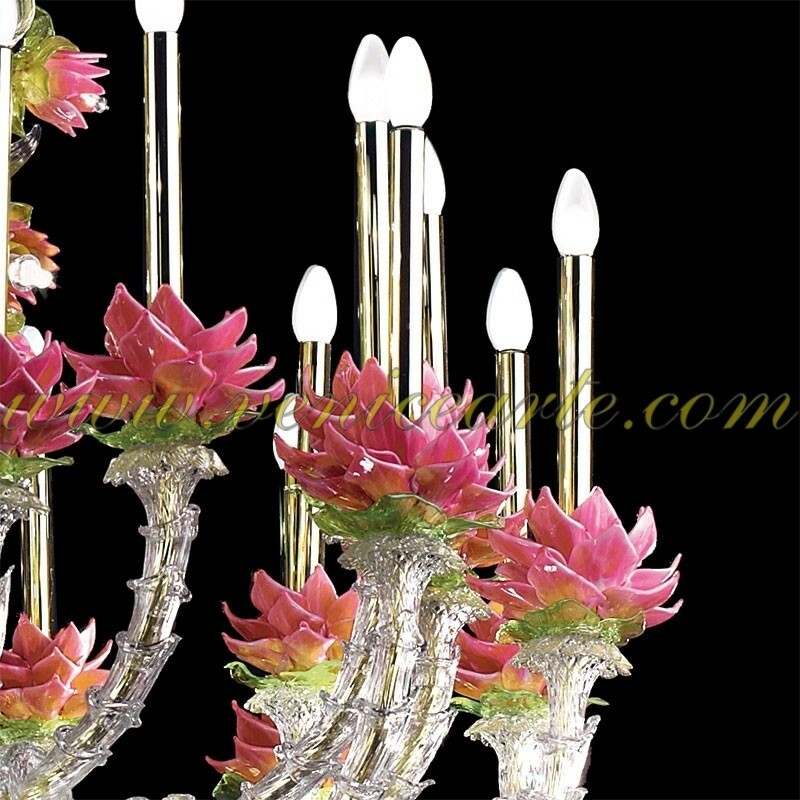 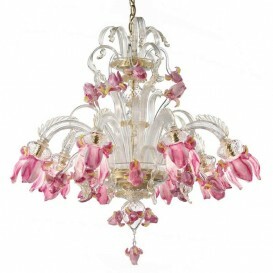 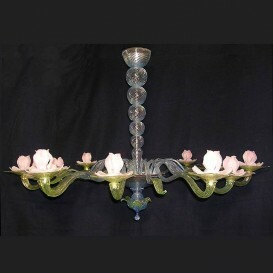 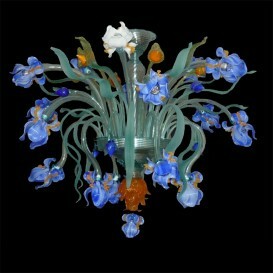 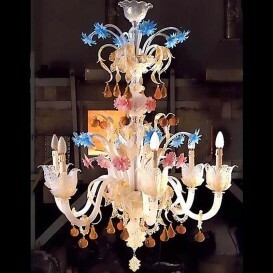 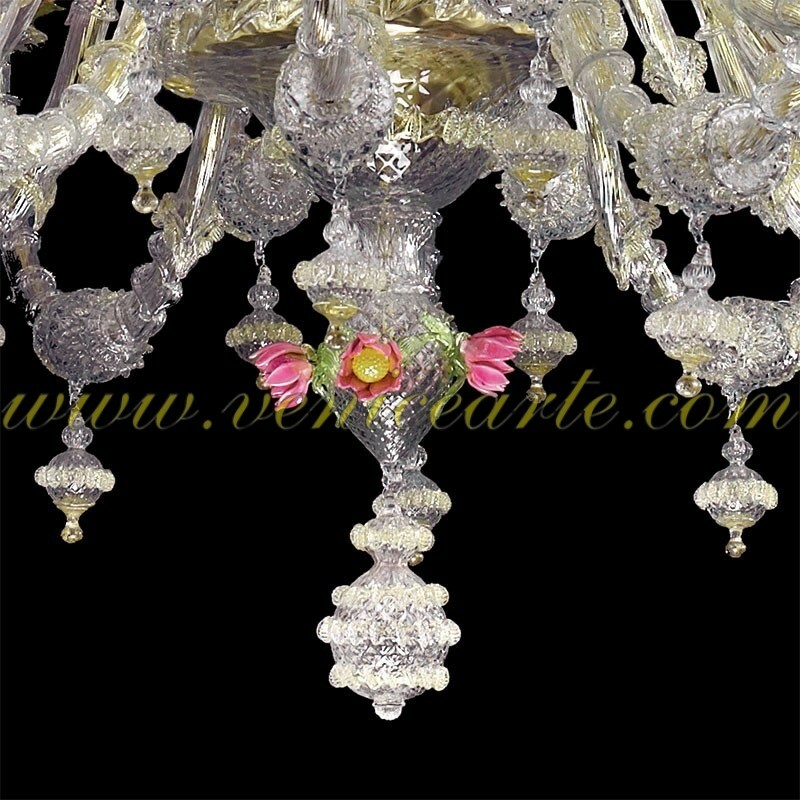 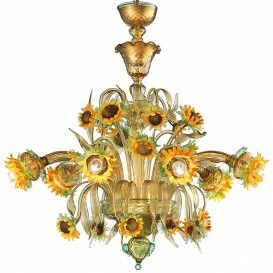 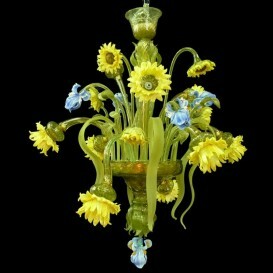 This is a classic chandelier Rezzonico in clear glass and colored flowers. 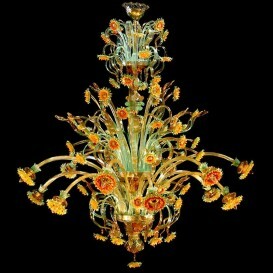 This is a classic chandelier Rezzonico in clear glass and colored flowers. 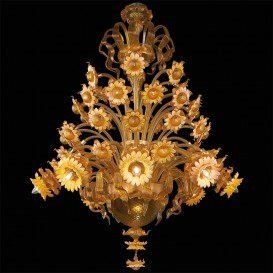 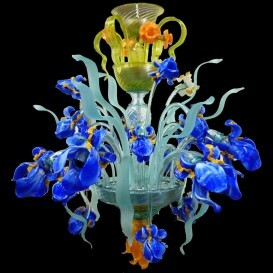 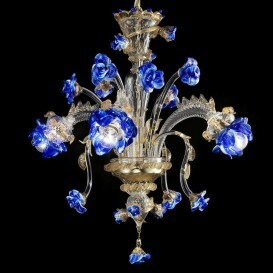 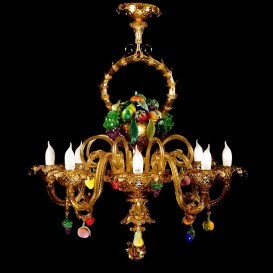 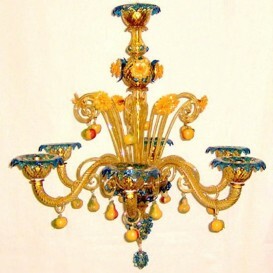 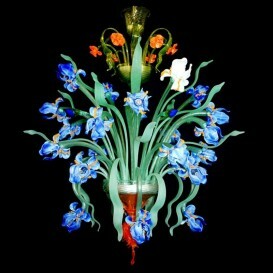 Excellent Rezzonico chandelier is one of the great works of art that give luster to the Murano glass. 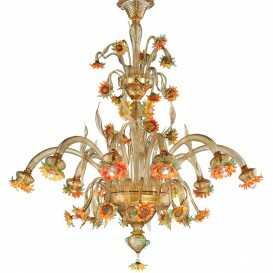 Needs 44 lights bulb (G9) with 25W and 28 lights bulb (E12 or E14) with 40 or 60W.